It starts with buckets of stickers, decals, ornate paper hearts and construction paper. By the end of the day, a table is filled with heart-shaped messages of love and gratitude to strangers who have served in various ranks of the military. Monday, Jan. 21, marked a national day of service for Martin Luther King Jr. Day, but it also marked an annual valentine making tradition at the Scappoose Community and Senior Center. 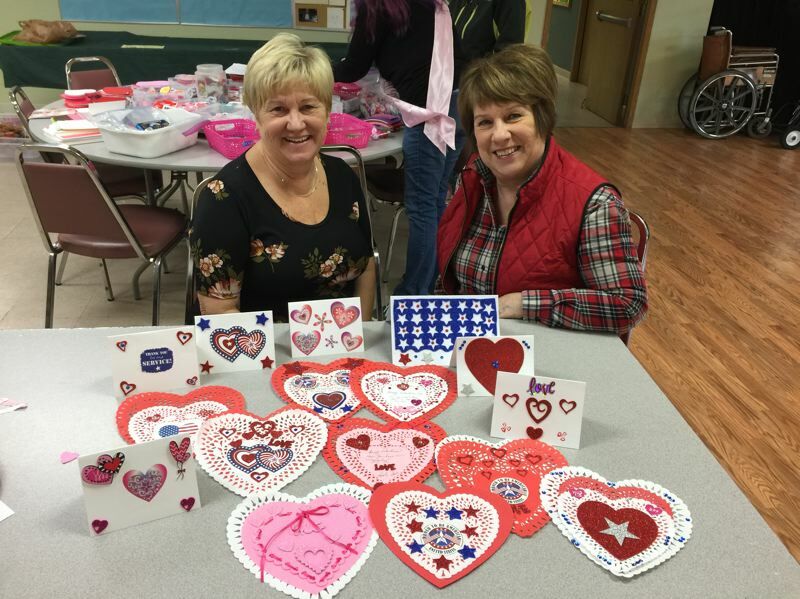 For the fifth year in a row, volunteers with the Retired Senior Volunteer Program gathered at the center to hand make valentine cards and crafts to be delivered to veterans. RSVP sponsored the Valentines for Vets event again last Monday, churning out more than 230 cards. "These unique, beautiful, one-of-a-kind valentines were made by the heart with love," Monica Cade, director of RSVP, stated via email. "Over the next couple of weeks leading up to Valentine's Day, volunteers will deliver as many as possible to local veterans in Columbia County to thank them for their service to our country."